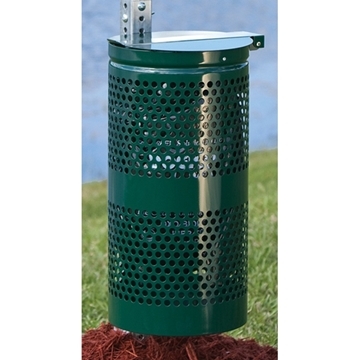 Picnic Furniture supplies convenient pet waste stations perfect for parks, nature trails, apartment communities, and many other pet-friendly locations. Our pet waste stations help provide patrons with a way to easily dispose of pet waste keeping the public clean. We feature pet waste signs designed to encourage pet owners to pick up after their dogs as well as to inform of the harmful diseases pet waste carries. Picnic Furniture also provides a range of pet waste accessories including pet waste pickup bags, rain cap, bases, and waste receptacles. Choose from a selection of Dogipot pet waste containers and supplies to keep your apartment grounds free of pet waste and odor. These freestanding stations contain durable containers and bag dispensers, and can be paired with reminder signs to help encourage responsible pet waste disposal. Prevent unclean dog walking practices by providing your residents with everything they need to clean up their pet’s mess quickly and hygienically. For this reason, the Dogipot is a must-have for pet-friendly apartment communities and shared buildings.